The three angles defined to measure gloss. Using the 60º gloss angle as a reference angle, the working range for 60º gloss is 10-70 GU (gloss units). This is considered the Semi Gloss range. 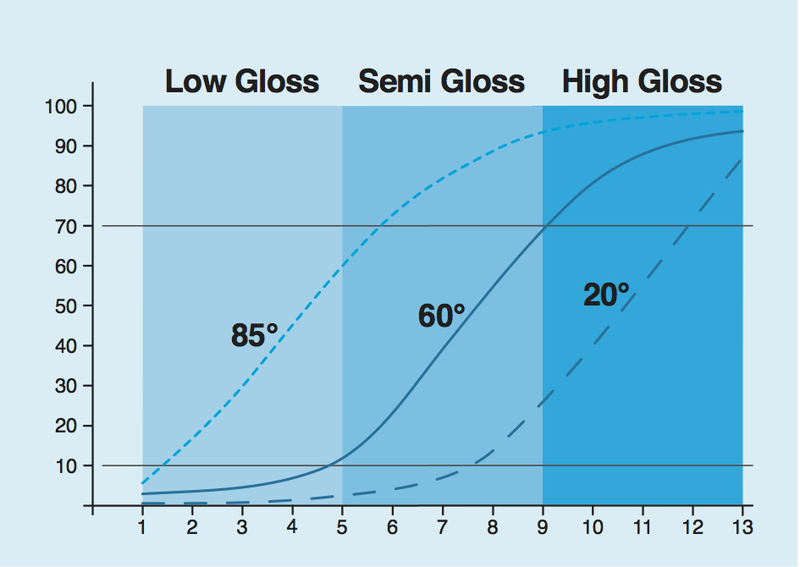 Below 10 GU or above 70 GU, the 60º gloss measurement does not correlate with a visual assessment of gloss. 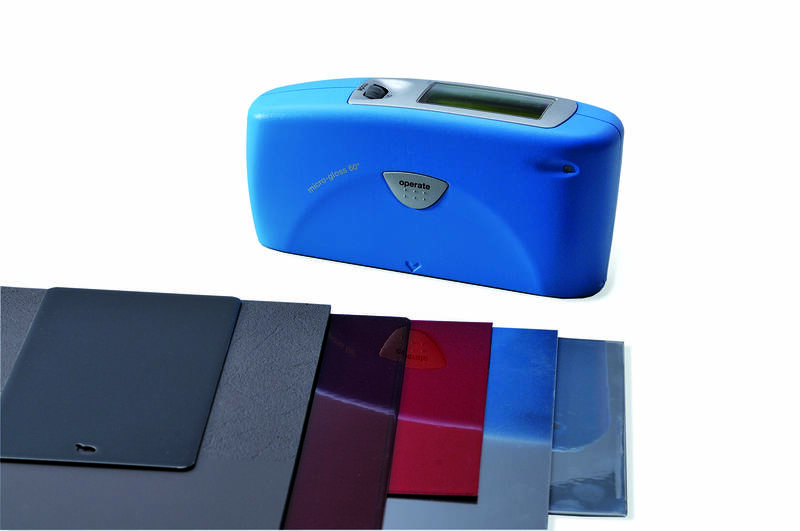 Therefore for measurements above 70 GU, the 20º glossmeter is used for High Gloss surfaces. For below 10 GU, the 85º glossmeter is used. This is referred to as Low Gloss or Matte. Graph of 13 ranked gloss samples and their measured gloss values in gloss units (GU). Below 10 GU and above 70 GU, the 60° curve is flat and the differences can no longer be seen. One must switch to either 85° or 20°. There are also two additional angles, 45º and 75º. 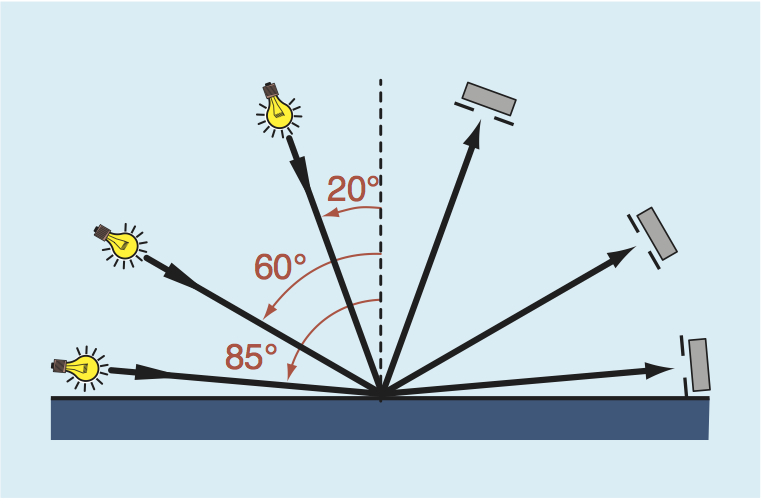 These angles are industry specific for measuring paper and plastic films. Chart showing when to use each gloss angle.